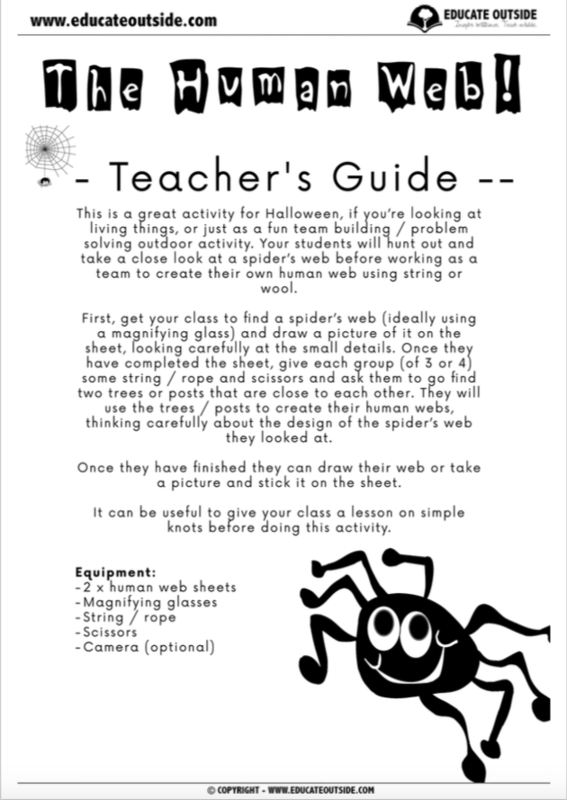 This is a great activity for Halloween, if you’re looking at living things, or just as a fun team building / problem solving outdoor activity. 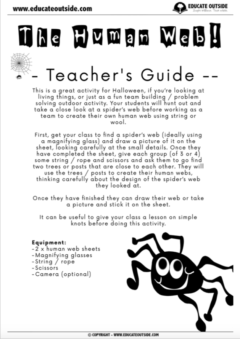 Your students will hunt out and take a close look at a spider’s web before working as a team to create their own human web using string or wool. 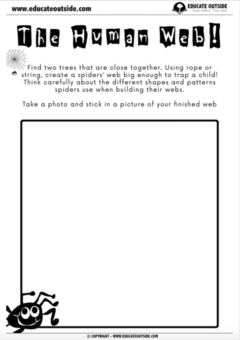 First, get your class to find a spider’s web (ideally using a magnifying glass) and draw a picture of it on the sheet, looking carefully at the small details. Once they have completed the sheet, give each group (of 3 or 4) some string / rope and scissors and ask them to go find two trees or posts that are close to each other. 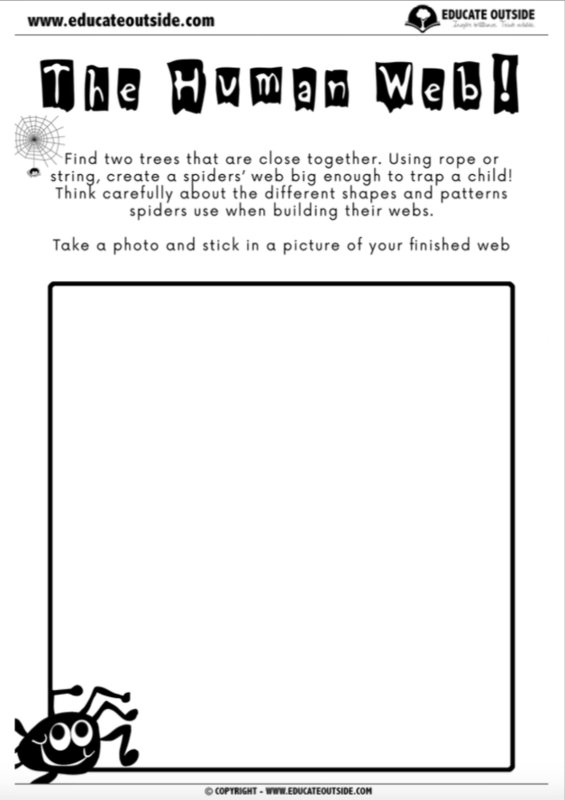 They will use the trees / posts to create their human webs, thinking carefully about the design of the spider’s web they looked at. 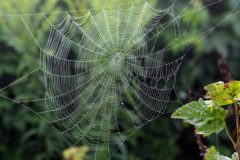 Once they have finished they can draw their web or take a picture and stick it on the sheet. It can be useful to give your class a lesson on simple knots before doing this activity.